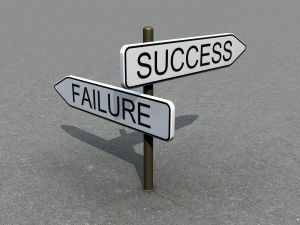 Achieve Career Success with 5D's? You would probably ask, is it possible to achieve career success with 5Ds? Yes, it is possible. These 5Ds I am referring to stands for Dependability, Determination, Delight, Detailed and Devoted. Not only will they increase your chances of achieving career success, they will also increase your motivation at work. Throughout my working experience, I have had the chance of observing bosses, colleagues and staff members perform their tasks. And I noticed a pattern that exists with people who achieve career success in the level relevant to them. They carried these 5 traits when tackling their work. Dependability means taking first person responsibility when you are given a job to do. You never blame someone for your work that is not done right. It means you take the initiative to see the job is done to the best of your ability. You take great pride in the work assigned to you. When you are dependable, you become a competitive advantage for your organization. You are seen as someone worthy of more important assignments and hence increase your chances of achieving career success. Being determined means having the stamina to see things through regardless of how tough they are. If you are to achieve career success, having determination is one critical factor. It not only ensures that you complete your work at hand no matter how tough, it also ensures that you achieve your long-term career goals. A determined person is usually fueled by a keen sense of duty and passion for the work. When you do your work with passion, the quality will shine through and people will notice it. Be a delight to work with in your workplace. No one likes to work with a grouch. Having a pleasing disposition, smile, never say die, being positive regardless of how huge the challenge is part of being delightful at work. A delight at work carries with them a positive attitude. It is the positive energy that they rub off on you that makes you want to work with them. It is a real and sincere feeling. When you carry with you a smile and a positive attitude at work, you are known as a delight. You will notice that colleagues wish for you to achieve career success. You can see them wish positive things for you. A detailed worker never lets work that is haphazard leave their hands. A detailed person slogs to ensure that everything that is supposed to work is looked into. They are the people who take that extra precaution and the initiative to make sure things become near perfect. Just enough is not in their vocabulary. Good enough just isn’t good enough for them. For the detailed, only the best is good enough. When you are a detailed person your bosses trust you with jobs that need multitasking. They know you can be relied on to make sure everything little aspect is looked into. Such tasks increase your chance to achieve career success. A devoted worker is an enthusiastic worker. When you become an enthusiastic worker, you are focused on the tasks at hand. You also become focused on the bigger goals of the organization. Due to this you are not as vulnerable to the ‘disturbing ghosts’ in your organization that is always causing disruption by being a complainer and spreading negative energy. In order to achieve career success, it is important for you to cultivate these 5Ds. 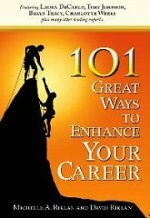 They help increase your chances of achieving career success. In addition, these qualities will increase your work motivation.